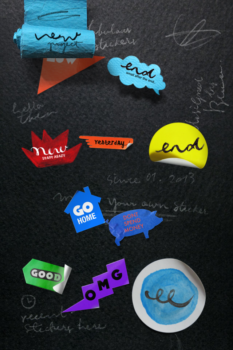 Stickr gives you a new way enhance your photos – decorating them with stickers. You can start a new project by selecting to take a new photo using the native camera app, importing a photo from your Photo Library, or by selecting a sticker. Then you can pick from 110 stickers from 5 categories to add to your project. These stickers (and your photos too) can be repositioned, resized, and rotated with the same multitouch gestures we’re all used to now. Also, there are six different filters you can apply, but they’re nothing that hasn’t been seen before, and they can’t be applied to stickers. Unfortunately, Stickr has a couple issues that I found annoying. One of them is only some of the stickers have customizable text, and there was no way for me to tell which stickers are customizable or not, until I dropped them onto my photo. This means I couldn’t always use a sticker I liked, because what it said didn’t fit my picture. The other issue I had was selecting stickers. Some stickers are close together, and I would occasionally have to touch above or below a sticker I wanted to use to select it. 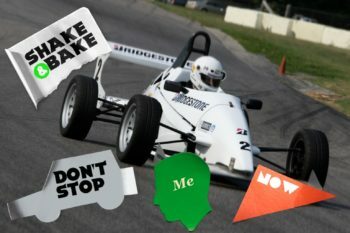 Stickr has a lot of cool looking stickers to choose from, but it would be better if all stickers could be customized. 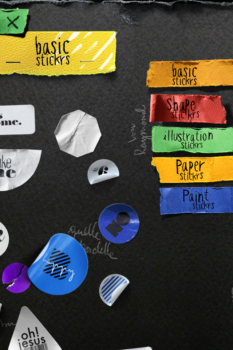 You can download Stickr for $1.99 (limited time launch price) from the App Store here–it’s currently an Editors’ Choice pick. Then lets us know if you liked adding stickers to your photos.